Do you want to build a spaceship? I've actually completed building this set 2 weeks ago but haven't had time to post this. 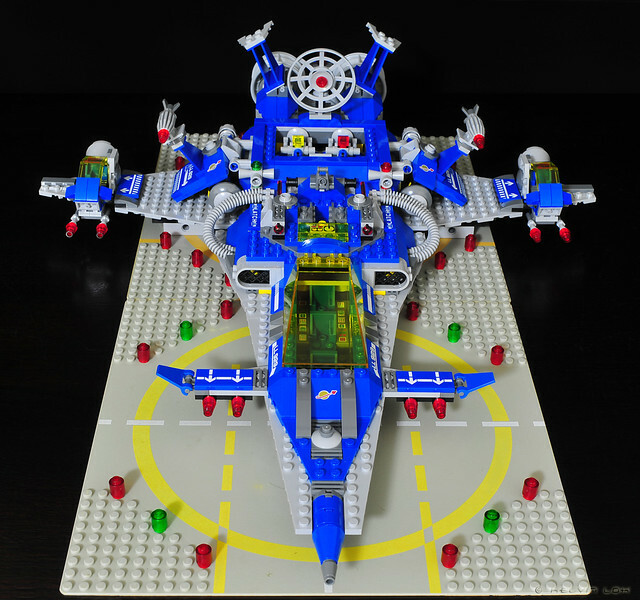 Building this set brings back memories of all the old classic space sets I've built long ago. 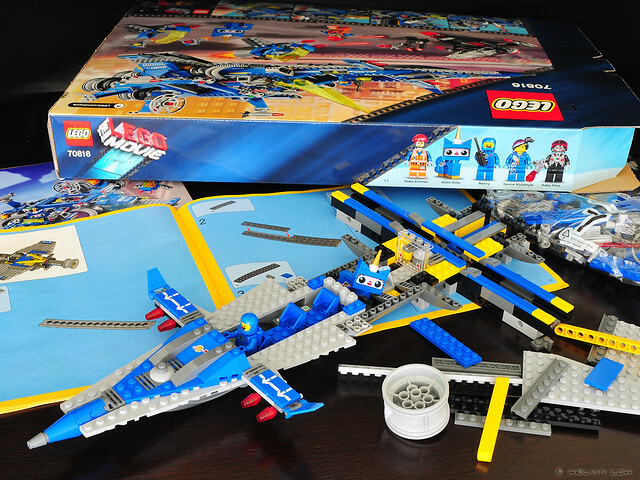 Wave of nostalgia when I poured out those blue, grey and yellow bricks! I admit I didn't follow the instructions sequence when building this. In fact, I went straight for pack #5. Why #5? Because it contains Astro Kitty (Unikitty in blue spacesuit) and Benny! The sticker sheet. I'd prefer printed bricks to stickers. Guess blank bricks can easily be used for other MOC builds. In the movie, it took Benny about 7 secs to build this spaceship. I'm not a master builder, so I'm taking a considerably longer time LOL! The mechanism to open/close the wings to deploy the overwing missiles. The completed spaceship! It is much bigger than I expected. Still, the finished build is sturdy. Real sleek design with just the right amount of kibble. You just want to pick it up and swoosh around the house on space adventures! 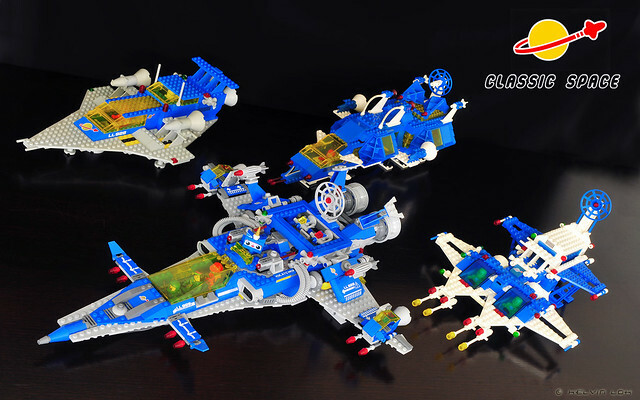 Unfortunately, this set does not include baseplates; I'm using those from other Classic Space sets. 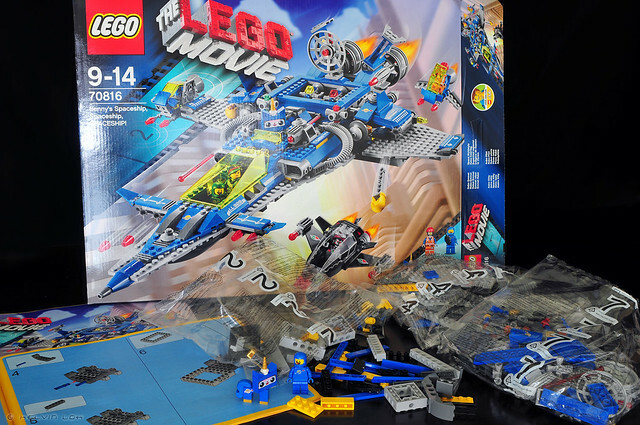 I am so glad LEGO released Benny's Spaceship from the movie. It was such a joy seeing the Classic Space logo on the new blue bricks. 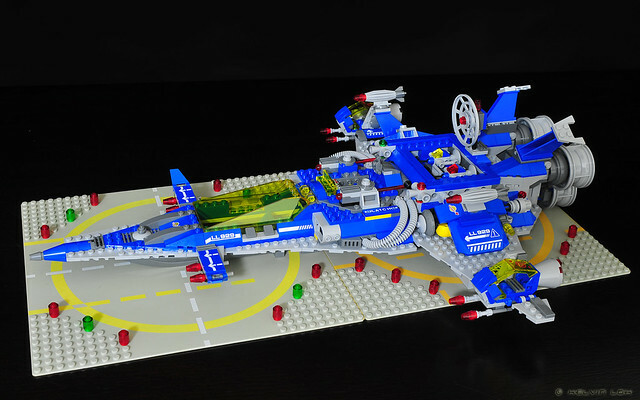 Hopefully there is chance of new series of Classic Space sets? I certainly hope so! 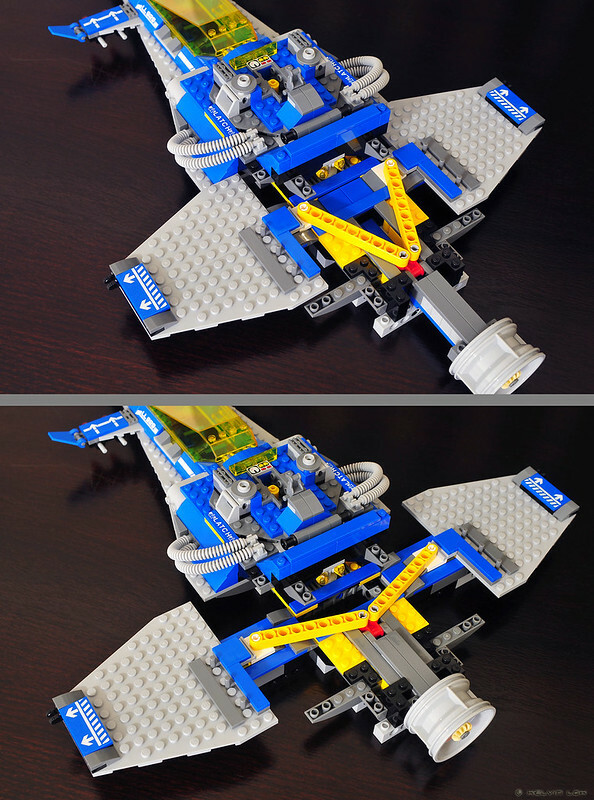 Bonus pic: Lego spaceships from 1979, 1983, 1986 & 2014! This is a cool nostalgia inducing set! I would love to see to old spacemen make a come back.